Servoteh is family owned company, founded in 2002. The company’s headquarters is in Belgrade (Dobanovci), Serbia. Today, after 17 years of work and continuous development, our mechanical and electrical engineering experts design, produce and launch various automation systems, devices, tools, machines, production lines and entire plants in different industries. Our project bureau for electronic and mechanical CAD design, as well as for the development of all PLC and CNC softwares, along with the production plant using precise CNC and CAM technologies, and our assembly and service department, pose an advantage for competitive market presence. We constantly renew, modernize and expand our machinery and equipment. Partnership agreements with world leaders in industrial automation (Siemens, Robert Bosch, ABB and SKF) contribute to the monitoring of modern technological solutions and their application in our own solutions of complex projects. We believe that constant improvements in technology and day-to-day processes are an essential element in ensuring our customers will thrive regardless of market conditions. At Servoteh engineering plays a key role in the company’s ongoing development. With our commitment to quality and continuous improvements, we’re always looking for ways to improve existing products or invent new ones to meet customer needs. Servoteh is driven to provide customers with the highest quality product and service offerings at all times. 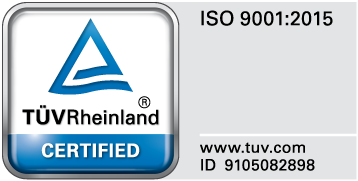 Our quality management system is in accordance with the requirements of the ISO 9001 standard and certified with the leading industry certification body, the TUV Rheinland. Servoteh manufactures standard and special production lines, machines and equipment in various spheres of industry. We owe CNC machine workshop (milling, turning, grinding and eroding machines) as well as assembly hall and skilled and experienced team. From the day it was founded, Servoteh has been a supplier of custom-made solutions, tailored to the needs and requirements of the customer within the timeframes that we jointly set up. The materials we use in production are of high quality and certified by the manufacturer. All necessary approvals are archived or delivered to the end user with the product. Our expert teams consciously monitor each step in the project development process, starting from design and manufacturing, through testing to implementation of the solution. The development and progress of a company rests on its employees. We strive to provide for our employees the conditions and resources by which means they will be able to accomplish their professional goals so we could with joint forces achieve the strategic goal of the company.